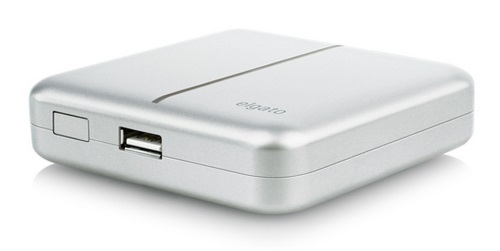 Elgato has released a smart charger to go along with your smart phone with the Smart Power portable charger. 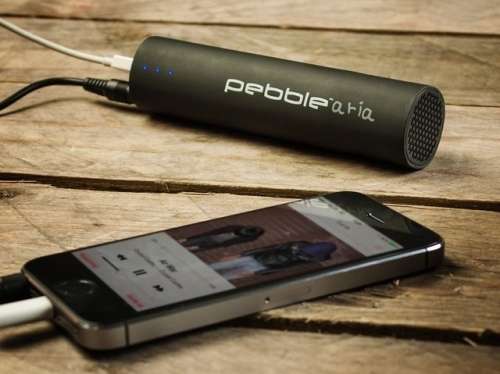 This portable charger will connect to your iPhone via Bluetooth and an iOS app and provide information on the portable charger’s status whereabouts. The actually charging still happens through a USB cord and the Smart Power holds enough juice to charge or iPhone 3 times. It can also charge other mobile devices with a USB connection. What sets this product apart is that it lets you know how much battery is left in it through the iOS app interface and will give you a reminder to plug it in and charge it up before you go places. Given access, the app can also be integrated with your calendar to identify busy days that you would be reminded to bring the portable charger along. 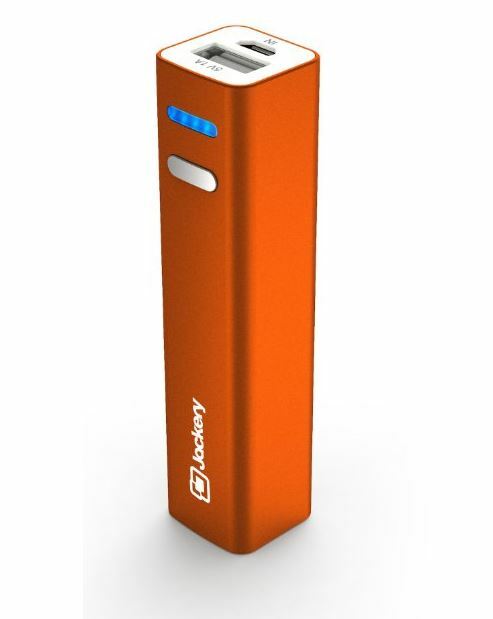 Jackery, maker of portable chargers, has their Jackery Mini on sale on Amazon priced well under the norm and less than competitors for the same type of device. The Mini is a small device at just a few ounces and just under 4 inches long and an inch thick. It contains a 3200mAh rechargeable batter with a 1A output that will hold it’s charge for when you need it up to 6 months. It works with just about any device that will connect via USB and will give 10 hours of talk or an equivalent of one full charge to your iPhone. It also has a nice LED light indicator to show the level available. It seems that regardless of the model, if you use your smartphone with its full smartphone capabilities all day long, you’re going battery is not going to make it through the day. There are a multitude of chargers available on the market to aid in this task, with one of those being the Pebble Aria. 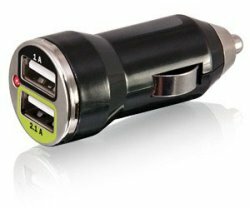 Need some USB gadgets charged up while in your car? Bracketron has introduced the Dual USB Charger that can recharge two gadgets at once in any vehicle. The device will handle all of your USB gadgets since it includes both high and low-current USB outputs, which allows you to power a tablet and a smartphone at the same time while you’re on the road. The Bracketron Dual USB Charger retails for $24.95 each. If there is one thing that we are always doing it is charging our gadgets. So many gadgets, so little juice. We probably spend a good chunk of our lives waiting for gadgets to charge. The Revolve xeMilo gives you 4 ways to recharge your devices. 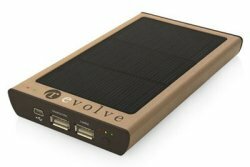 You can use a wall outlet, internal battery, a USB port, or sunlight. So you have options on how to get that juice. The 4400mAh internal battery charges a wide range of devices including your iPad, BlackBerry Playbook, Samsung Galaxy Tab and over 3,000 other devices. You are covered. The Revolve xeMilo hybrid USB charger retails for $129.99. 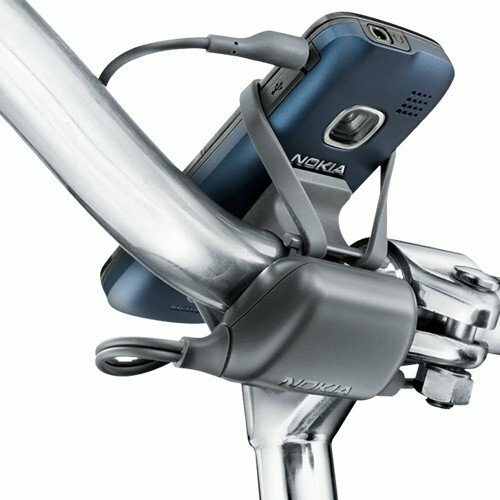 Nokia’s bike-powered cellphone charger was supposed to arrive by the end of 2010 for about €15. Now the company is ready and is charging €30 to European bicyclists, which is twice as expensive as anticipated. The kit comes with a Nokia charger, phone holder, and bottle dynamo. The charger also sports a 2-mm charger interface and provides 28 minutes of talk time for every 10 minutes spent riding between 6kph (4mph) and 50kph (31mph). Europeans can pick one up from Nokia’s online store. The rest of us will have to wait. The Zip, Touch-n-go provides a neat and tidy solution to the old problem of long cables everywhere when trying to charge multiple device on the same table top. 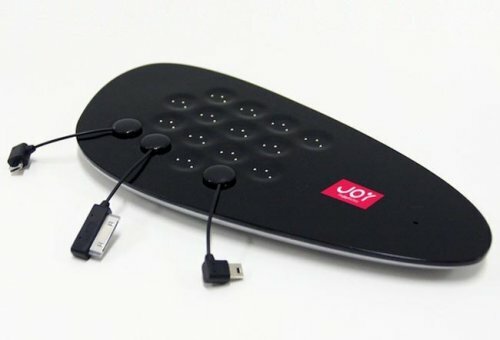 The Zip Touch-n-go charger uses short device connectors that are attached to the main charging device using magnets and makes it easy to charge any device. It has space for 16 devices to be charged at once, so your table will be more cluttered with devices than wires. No information on pricing or worldwide availability just yet, but it might be priced between $49-$100. Look what we have here. 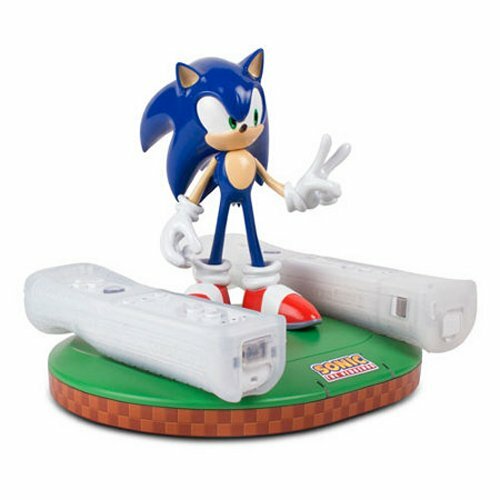 Sonic the Hedgehog is willing to charge up your Wiimotes while showing the peace sign. He doesn’t look very happy about it though. You can understand why. He’d rather be chasing down golden rings and promoting Sega products. But sadly, those days are gone. Now he is reduced to sub-par games and promoting Nintendo gear, which in this case will cost you $49.99. It comes from Mad Catz. Hey, at least it acts as a figurine too. Disney’s Epic Mickey launches today and the accessories are already making a splash as well. Many Disney fans are looking forward to this Wii game and will want these controllers for the game to complete the experience. The epic Mickey Paintbrush Controller for Wii and the Epic Mickey Remote Charger for Wii are both available at Toys ‘R’ Us. The Paintbrush Controller retails for $24.99 and the Epic Mickey Remote Charger is $49.99. Grab both and settle in for a fun game night. 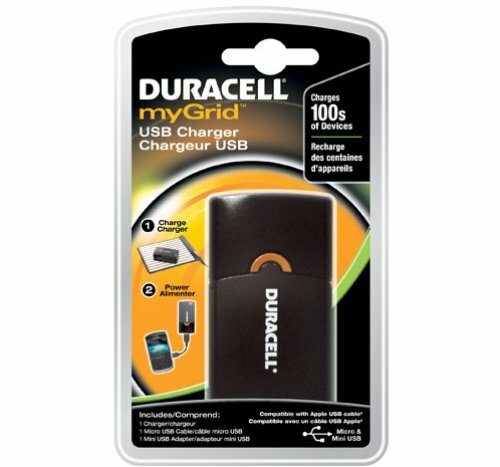 The myGrid USB Charger is a rechargeable Li-ion battery with a USB output with enough juice to extend the life of most smartphones by four hours and the life of most e-readers by up to 100 hours, according to Duracell. For $34.99 that makes this one a no-brainer and you can get one today at CVS, Walmart, Target and Amazon. It comes with both mini-USB and micro-USB adapters. We love anything that helps us get rid of wires around here. 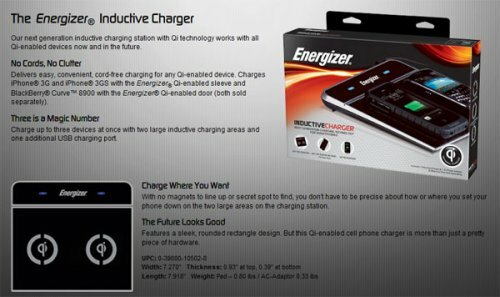 So we are excited about Energizer’s new inductive charger that is Qi enabled. Qi is the wireless charging standard developed by the Wireless Power Consortium, and should eventually make its way into more and more devices. The charger will work with the iPhone or the Blackberry Curve 8900. The battery door for the Blackberry and the sleeve case for the iPhone 3G/3GS are both sold separately. Luckily, this device has enough room to charge three devices at the same time, which is nice. You just bought a fancy new iPad for a hefty price. Now you need some third party accessories to go along it. Scosche has the answer. They’ve just announced the reVIVE II Dual USB Car and Home Chargers for Apple’s tablet. The ability to charge a few devices simultaneously makes the reVIVE II adapters well worth it. The reVIVE II models will come with a 2.1 Amp and 1 Amp port, letting iPad owners and everyone else charge simultaneously. I am sure that we have all forgot to put gas in our car at one time or another and gone out to go somewhere and realized we didn’t have enough gas. That is easy enough to fix in a gas powered car, you just go the station and fill up. If you are driving an EV and realize you forgot to plug it in, you are out of luck. I know if I had a car that needed to be plugged in each night I would forget to do that eventually. 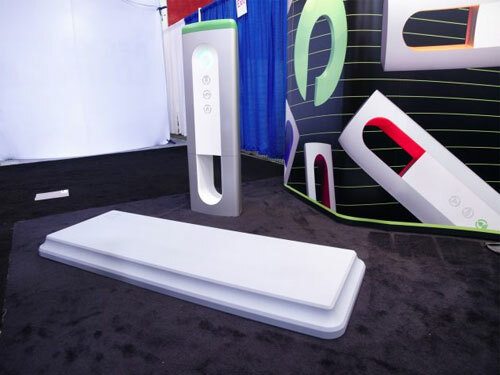 A company called Evatran has announced a cool new proximity charger for EVs. We are always looking to minimize desk clutter, so we are always happy to see items like this. 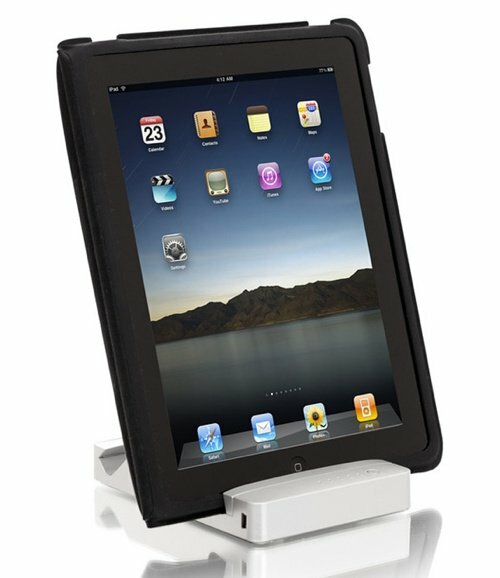 HyperShop’s latest iPad stand offers a built-in rechargeable lithium ion battery for up to 16 hours of extra life. Extra life is sweet, even outside of video games. The HyperMac stand has two slots at 18 and 45 degree angles, for superior viewing of movies and easier reading. It will also accept your iPad while it wears Apple’s official case. Hydrogen fuel cells are one of the things that promise to power our gadgets without needing to plug them in or use electricity. However, getting the hydrogen for the fuel cells to run on does require power of some sort. A new device called the HydroFill is available that can be ran from an AC outlet or a solar panel. The device uses plain distilled water to generate hydrogen that it stores inside HydroStik containers. Those HydroStik containers can then be used in the MiniPak hand held fuel cell charger.